Internet | Show Me I.T. Gumtree – Find What You’re Looking For! This video tutorial will show you how to copy and paste a HTML link so you can share it in your e-mail. You can also paste this link into a Microsoft Word document. 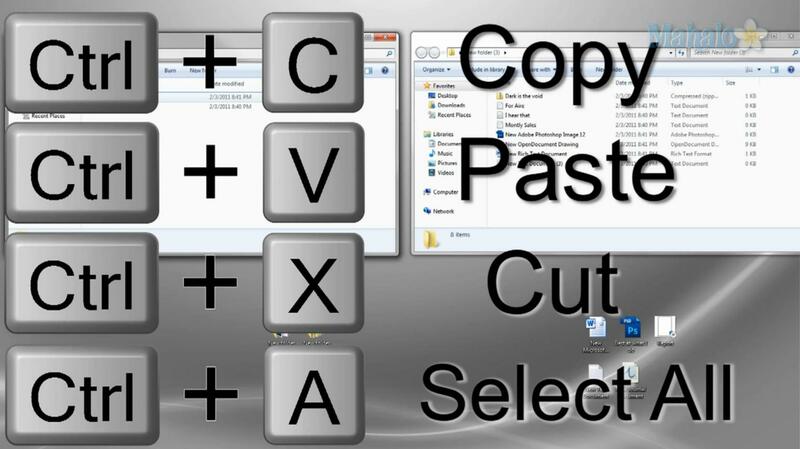 It shows you how to copy a link from a webpage or a link from the URL address bar at the top of your Internet browser. The Internet can be a very helpful tool when writing a paper or article. However, since everyone has access to publishing content on the Internet you need to use it with caution. Use this guide to help you evaluate a site or post before citing it as a source. Not always reliable, try to learn more about the author. URL usually includes the person’s name. If their name isn’t the site name, it will likely be in the URL after a tilde or percentage sign. The domain type should match the content type. Look at the first part of the URL between http://and the first /. Find out who is accountable for the information. Find the author/organization responsible for the content. Evaluate what you know about them and decide if you believe they are qualified to write about the topic. An outdated source is not always credible. Outdated topics: date should be near the time the content became known. Look at how sources are cited and what type of source is used. Scholarly content should always have source info, and should not be an opinion piece. Check the sources for reliability and workability. If the content is reproduced from another source, go to the original source to ensure it has not been altered. If they are the only one linking to the site (from other parts of their site) then it may not be reliable. Find out who is linking to them: Type URL into search box on Alexa.com. Click on “Get Details”. Learn about site’s traffic info, who is linking to them and other details. Find Related Sites: Type the linkinto Google search box. Paste the URL directly after the colon, no spaces. Difference search engines may have different results so try more than one. If you don’t see any links, shorten the URL. Once you have reviewed all of this info, you can decide whether you believe the source to be credible. Since the Internet is open to everyone, remember that you may be looking at false info or opinions instead of fact. If you’re unsure, go to a reference desk in the library or ask your instructor for advice. Globally, billions will be spent on-line over the course of the next month, and, unfortunately, there are those that will be looking to steal some of it. Make sure you’re not a victim. Let’s face it, there’s every reason in the world to shop online. The bargains are there. The selection is mind-boggling. The shopping is secure. Shipping is fast. Even returns are pretty easy, with the right retailers. Shopping has never been easier or more convenient for consumers. But what about the bad guys who lay in wait? Reports indicate that the use of phishing attacks (where thieves attempt to swindle you out of your sign-in credentials and even credit card info by pretending to be a real website, or even an on-line bank) is down. That’s great news—except the same report says sites with malware (malicious code aimed at compromising your privacy) has increased considerably (89%). Stay calm. While somewhat alarming, these stats should not keep you from shopping on-line. You simply need some common sense and practical advice. Follow these basic guidelines and you can shop on-line with confidence. Here are some tips for staying safe on-line, so you can start checking off items on that holiday shopping list. Start at a trusted site rather than shopping with a search engine. Search results can be rigged to lead you astray, especially when you drift past the first few pages of links. If you know the site, chances are it’s less likely to be a rip off. We all know Amazon.com and that it carries everything under the sun; likewise, just about every major retail outlet has an on-line store, from PC World to Argos to Home Base. Beware of misspellings or sites using a different top-level domain (.net instead of .com, for example)—those are the oldest tricks in the book. Yes, the sales on these sites might look enticing, but that’s how they trick you into giving up your info. Never ever buy anything online using your credit card from a site that doesn’t have SSL (secure sockets layer) encryption installed—at the very least. 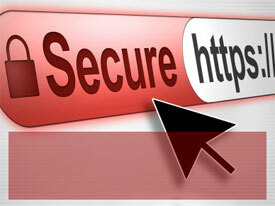 You’ll know if the site has SSL because the URL for the site will start with HTTPS:// (instead of just HTTP://). An icon of a locked padlock will appear, typically in the status bar at the bottom of your web browser, or right next to the URL in the address bar. It depends on your browser. Never, ever give anyone your credit card over email. Ever. No online shopping store needs your National Insurance Number or your birthday to do business. However, if crooks get them, combined with your credit card number for purchases, they can do a lot of damage. The more they know, the easier it is to steal your identity. When possible, default to giving up the least amount of information. Don’t wait for your bill to come at the end of the month. Go online regularly during the holiday season and look at electronic statements for your credit card, debit card, and checking accounts. Make sure you don’t see any fraudulent charges, even originating from sites like PayPal. (After all, there’s more than one way to get to your money.) If you do see something wrong, pick up the phone to address the matter quickly. In the case of credit cards, pay the bill only once you know all your charges are accurate. You have 30 days to notify the bank or card issuer of problems, however; after that, you might be liable for the charges anyway. Swindlers don’t just sit around waiting for you to give them data; sometimes they give you a little something extra to help things along. You need to protect against malware with regular updates to your anti-virus program. A screenshot (also sometimes called a ‘screen grab’, ‘screen dump’ or ‘capture’) is a bit like taking a photograph of whatever is currently on your screen, which could be a website, a window or just the desktop. The image can then be pasted into a word-processed document. This guide is for Word 2010 but any similar program can be used. a computer with Microsoft Word installed. Follow these step-by-step instructions to take a screenshot and place it in a Word document. Step 1: Unless you’re taking a screenshot of just your desktop, make sure that the window you want to include in your screenshot is open. Step 2: Press the ‘Print screen’ key: Prt Sc or PrtScn. This is usually on the top row of the keyboard. When you press this, you’ll be taking a screenshot of the desktop. 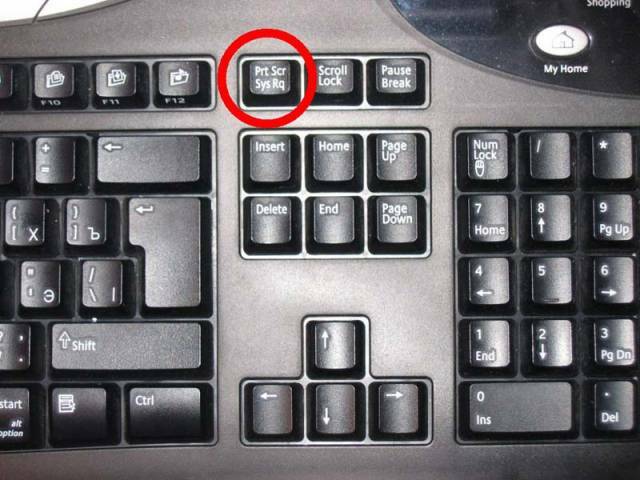 On some laptop keyboards, if the Prt Sc text is on the top line of a button, you will need to press and hold the Shift key and then press Prt Sc. Step 3: Immediately open a new Word document and click the ‘Paste’ icon, or hold down Ctrl on the keyboard and press V. Your screenshot will now appear as an image in your document. Step 4: You can resize your screenshot. Click on it and a frame will appear around the outside with small ‘handles’ on the corners and sides. You can change the size of the image by dragging on one or more of these handles with your mouse, making sure that the left mouse button is pressed down. Step 5: Your screenshot can be treated the same as any other inserted image. When you click on it, two new ‘picture tools’ tabs will appear in the ‘ribbon’. These give you a number of formatting options, such as cropping and special effects.